“Financial literacy is just as important in life as the other basics.” John W. Rogers, Jr.
By applying sound principles of personal finance, many people stay afloat during tough economic times. With this in mind, your main goal should be to view your financial planning program as a lifestyle change, not just a temporary fix with a quick turnaround. This is why you need to come up with a realistic program, something you can live with. Financial obligations such as those covering your insurance, loans, and mortgages and so on. Based on the results of your financial assessment, you should now proceed to set realistic financial goals for different time horizons. These should be written down in an organized manner, laying out the details of when they should be achieved and breaking down the steps to be followed in pursuing them. To make sure that you stick to the steps and set yourself up to succeed in building a financially fit future, you need to draw up a plan of how you will spend your income. Remember that to successfully reach your goals, you not only need to do the work, but you must also plan for it. One important financial goal which needs to be taken into account in your budget should be setting aside money each month to build an emergency fund. This would ensure that you have a safety net when the proverbial rainy day checks in. To prevent yourself from being over-reliant on your paycheck or another source of income, as well as to cushion yourself during moments of financial hardship, you should accumulate as much savings as possible. You should make a habit of saving regularly. 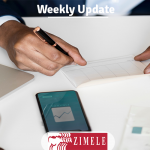 Consider the Zimele Savings Plan which will help you accumulate enough funds to assist you whenever tough times come calling. It pays to begin saving for your retirement early since you can take advantage of the time and the power of compounding. While many people tend to think of saving for retirement as an additional financial burden, the tax benefits available in registered personal pension plans will give you a considerable advantage income-wise while also enabling you to plan for a comfortable retirement. The Zimele Pension Plans are in this category and anyone from the age of eighteen years can get started with contributions of Ksh.100 or more. While it may be enough to simply allocate part of your monthly income to the above needs, it would also be beneficial to build another source of income. Investing will allow you to earn more income in the future. Who wouldn’t like that? The foundation that we build determines how strong anything we build will be, the same is true with personal finances. If you want to achieve financial freedom and build a strong foundation you need to go back to the basics.